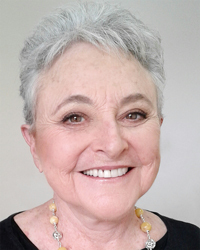 Sylvia Boorstein has been teaching Dharma and mindfulness meditation since 1985. She is a founding teacher of Spirit Rock Meditation Center, a psychotherapist, wife, mother and grandmother. She is particularly interested in emphasizing daily life as mindfulness practice and including informed citizenship and social activism as integral to spiritual maturation. Her books include: It's Easier Than You Think: The Buddhist Way to Happiness; Don't Just Do Something, Sit There: A Mindfulness Retreat; That's Funny, You Don't Look Buddhist: On Being a Faithful Jew and a Passionate Buddhist; Pay Attention for Goodness' Sake: The Buddhist Path of Kindness and Happiness Is an Inside Job: Practicing for a Joyful Life. For more information, visit www.SylviaBoorstein.com. For audio recordings of Sylvia's talks, visit DharmaSeed.org.